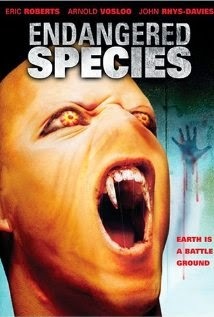 ENDANGERED SPECIES deals with two rival aliens who wander around the same boring city streets trying to collect human samples for reasons unknown. Caught in the middle is bronze tanned Eric Roberts, who spends a chunk of the running time in alien buddy cop mode with THE MUMMY'S Arnold Vosloo. This poor man's TERMINATOR meets ALIEN NATION is currently available for streaming on Netflix, but as always, you're better off letting us sort through these well worn sci-fi tropes to save yourself from mental scarring. 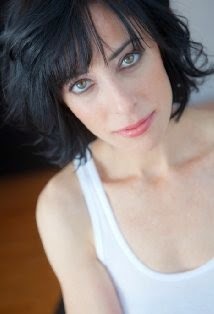 Our special guest this time out is NYC based actress Alana Jackler, who has appeared in various independent film projects, as well as TV show like, LAW & ORDER and SATURDAY NIGHT LIVE. She has also mounted her own one woman show called HURRICANE ALANA, and is co-creator of SCIFIRIOT, a science fiction based YouTube channel.